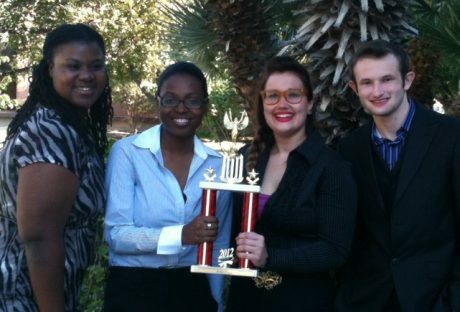 The UALR Intercollegiate Ethics Bowl Team competes at the regional and national levels – the team placed 22nd in the 2015 Intercollegiate Ethics Bowl National Championship. 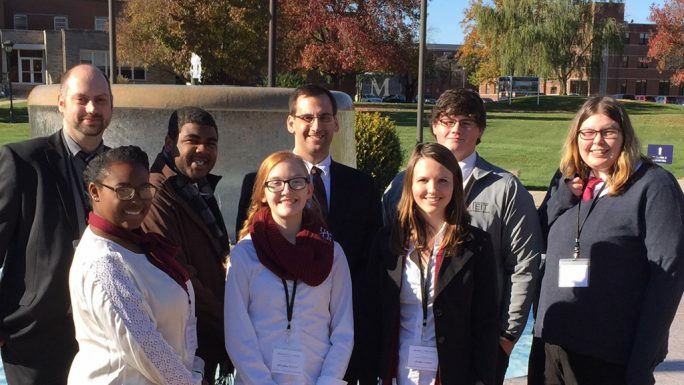 Teams qualify for the national competition through success at regional competitions; our 2015-2016 team competed in the Central States Regional Ethics Bowl this past November. Differing from long established debate competitions, The Ethics Bowl is a venue that encourages engagement in serious moral discourse. Teams consider and discuss cases drawn from current events, which range from social and political issues (voting rights, informed consent, death penalty, gun control), to environmental concerns (sustainable growth and development), to professional worries (hiring practices), to issues arising in the college classroom (grade inflation, plagiarism). Teams from colleges and universities across the country compete at the regional level and winners then go to the finals where one team emerges victorious. Teams have at least a couple of months to prepare the cases, though they do not know the actual question associated with the case until they face another team. Emphasis is on reasoning and the ability to engage in moral discourse rather than on persuasion. The scores of three judges who are recruited from both the academy and the professions determine winners. The competition can be fierce and the winning margins tight. Still, the atmosphere is unceasingly civil and collegial. Our 2014-2015 team qualified at the regional level to compete at the national competition, making them one of the top 32 ethics bowl teams in the nation. 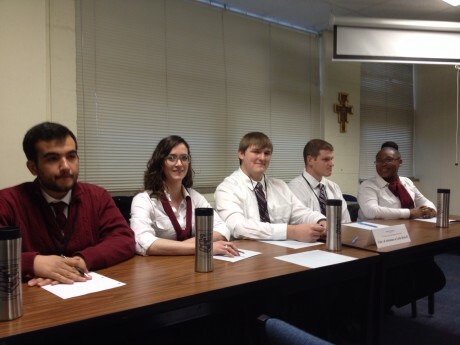 What do UALR Ethics Bowl Team Members Think? 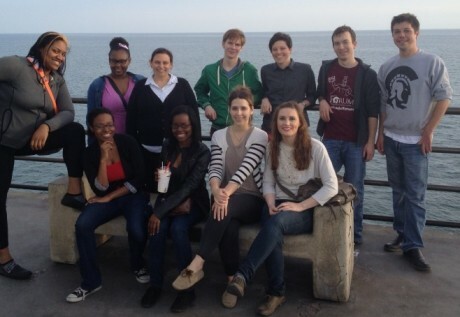 Where does the UALR Ethics Bowl Team Compete? What Do Ethics Bowl Team Members Think? The Association for Practical and Professional Ethics hosts the National Intercollegiate Ethics Bowl. Previous host cities include: Cleveland, Ohio; San Antonio, Texas; Jacksonville, Florida, and Costa Mesa, California.